The North Carolina Annual Conference chapter of the Methodist Federation for Social Action and Reconciling United Methodists and Friends NC are proud to sponsor the fifth annual Gayle Felton Love Thy Neighbor Lunch on Friday, June 15th at 12 noon, at the Holiday Inn in Greenville. Cost is $15 in advance and $17 at the door. For students: $10.00 and $12.50 at the door. You can register online at Eventbrite (tap below) or mail checks payable to MFSA NC, PO Box 18311, Raleigh NC 27619-8311. There will be a communion service following the lunch. Retired United Methodist minister, and a lifelong activist in the Civil Rights Movement from the 1964 Mississippi Freedom Summer to the 1968 Poor People’s March. Gil is author of numerous books and blogs on social justice, including his latest collection, Something Within. Gil served several historic Black churches in the Northeast, including Union Methodist in Boston and St. Mark’s in Harlem. 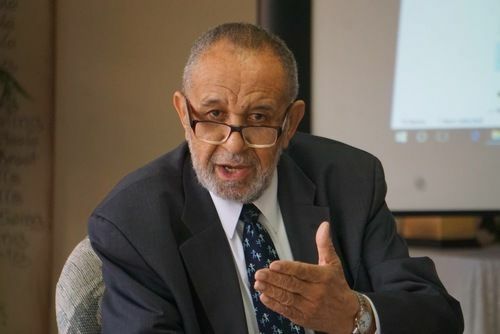 He also served as Associated General Secretary to the General Commission on Religion and Race in Washington, D.C., and as Executive Director of the Ministerial Interfaith Association of Harlem. Gil helped found several significant organizations on the forefront of erasing bigotry within the church, including the Black Methodists for Church Renewal, the National Conference of Black Churchmen, and United Methodists of Color for a Fully Inclusive Church, which works toward equality in ordaining Methodist ministers who are gay or lesbian. He served as a national board member of PFLAG and is a co-founder of Truth in Progress. Gayle was a native of Pinetops, NC. She graduated with a B.A. in History from North Carolina Wesleyan College where she was the first valedictorian of the newly opened college. Gayle taught high school history and civics in Edgecombe County before answering the call to ministry. She received her Master of Divinity and Doctorate degrees from Duke University. After teaching religion at Meredith College for two years, she returned to Duke where she taught in the Divinity School for over a decade, guiding and influencing a generation of pastors and others serving the United Methodist Church. Gayle’s scholarship largely focused on the history of Methodism with special emphasis on the sacraments.